The above link will take you to the web site for this out in the middle of nowhere camp area. I had never been there before, but then, I was never as interested in history as I am now either. Located on the property of this camp ground are two items I am in love with. 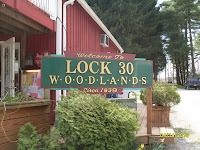 First is Lock #30 of the Sandy and Beaver Canal system. It is pictured above. According to the former owners, this lock was never finished, though the history books suggest a slightly different reason for it's state of disrepair. The Canal builders did run out of money while building the locks, that is true. 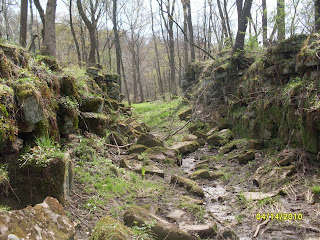 The canal system was started in 1828, but by 1838, they had spent over a million dollars and ran out of money to finish. The project sat idle for a few years until around 1840, when they got money from the Government to finish. However, they could not afford to build them like before. So, for example, Lusks Lock is quite beautiful and has something on it called a facing. In contrast, Greys Lock did not recieve the facing and looks unfinished, when in fact it was. Just no facing. I thought there had been two different engineers for the project and that explained the different looks for the canals. The canals were finally finished in 1848, but only ran for four years. 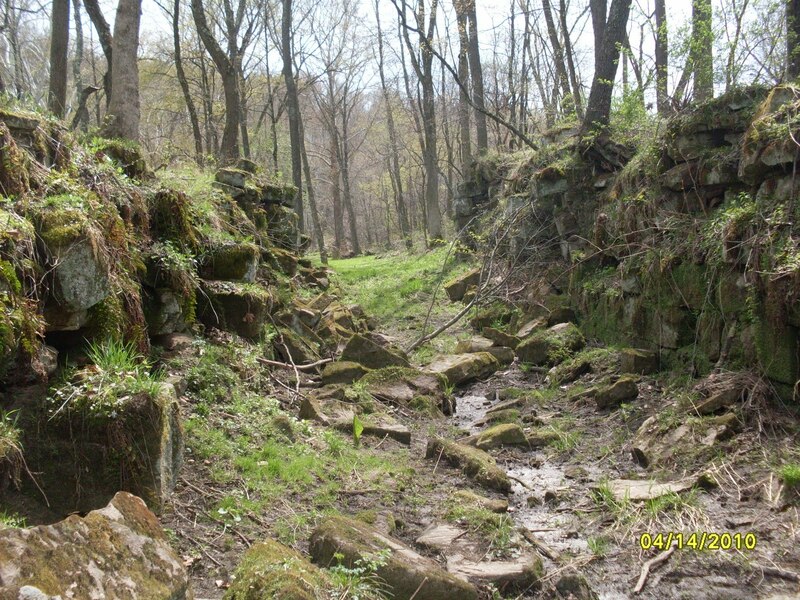 The end came in the spring of 1852 when the Cold Run Reservoir Dam broke just outside of New Lisbon causing extensive property damage as well as ruining a large section of the canal. The canal company went broke trying to settle the resulting lawsuits. The old bell sitting in the stone structure is, for now, a mystery. It was on the property when the current owners bought it. So far, I have not been able to track down any history for it, nor where it might have been used. But I am still looking. 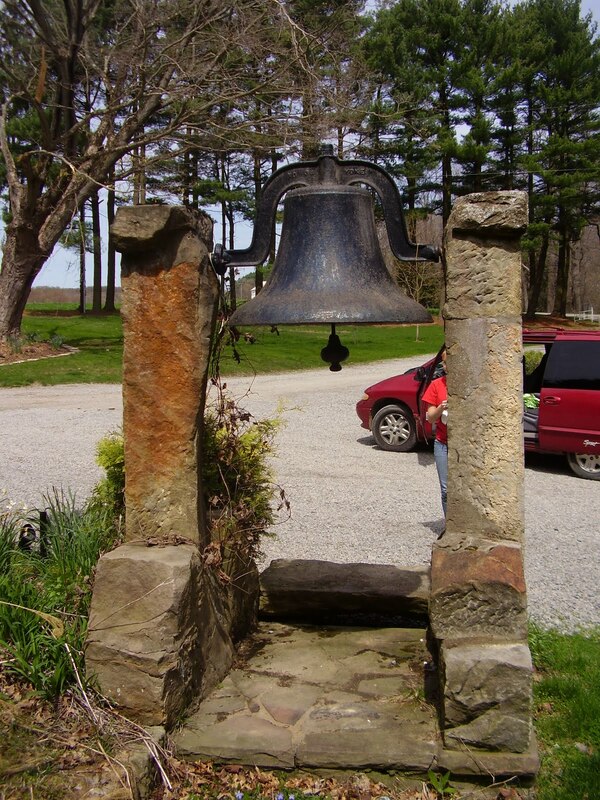 This bell greets you as you enter the camp ground. hello Kim , wanted to let you know that Jake's lock by Gretchen's, one side caved in !, the rocks are laying in the middle , not sure you know or not , thinking it happened during all that snow ..have a Great Day ! !